Three girls who were trafficked from the Southsouth and Southeast to Lagos for prostitution yesterday said they were forced to sleep with seven to 10 men everyday to meet their N30,000 daily target. The victims – Helen D!ckson, 22; Deborah David, 18 and Chinwendu Oyekachi, 18 – were allegedly lured to Lagos by a man identified as Ikechukwu Egbulefu, with promises of decent jobs. 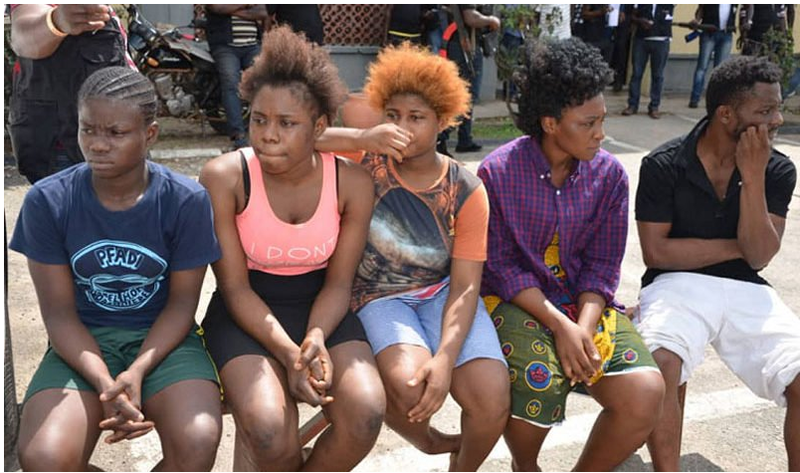 0 Response to "‘We Sleep With Seven To Ten Men Daily’ – Arrested Prostitutes (Photo)"